Today the Washington Jewish Film Festival announced the program for the 28th annual event. The Festival, which runs from May 2-13 in venues throughout the Washington, DC area, includes 57 feature-length and 23 short films from 27 countries, and showcases the diversity of Jewish life around the world. Opening Night will be SAMMY DAVIS, JR.: I’VE GOTTA BE ME, a biographical documentary on the famed entertainer featuring never-before-seen photographs from Davis’ vast personal collection. THE INVISIBLES, a tale of four young Jews who lived in hiding after the Nazis declared Berlin “free of Jews” in 1943, closes out the twelve-day event. Touching on an array of Jewish perspectives from multiple countries and cultures, this year’s Festival includes the thematic strand Starring Wonder Women, which showcases trailblazing women who smashed through glass ceilings. Returning from prior festival editions are the queer cinema program Rated LGBTQ and WJFF Classics, a presentation of repertory Jewish cinema featuring select new digital restorations. 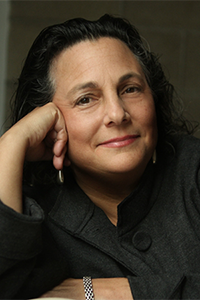 This year, documentarian Roberta Grossman will be honored with the WJFF Visionary Award; clips from her upcoming film WHO WILL WRITE OUR HISTORY will be previewed as part of the award ceremony. While at the festival, Grossman will give an extended discussion on the #MeToo movement following a screening of her 2018 film SEEING ALLRED; in addition, she will introduce a special 10th anniversary screening of her 2008 film HANNAH SENESH: BLESSED IS THE MATCH. 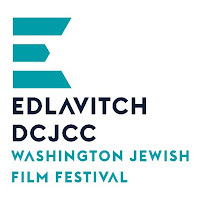 A program of the Edlavitch DCJCC, the Washington Jewish Film Festival (WJFF) is the largest Jewish cultural event in the greater Washington, DC area. Films and programs will take place at AFI Silver Theatre, Bethesda Row Cinema, E Street Cinema, and the Aaron & Cecile Goldman Theater at the Edlavitch DCJCC. A full festival schedule can be found at www.wjff.org. A list of titles and events is included below. ROBERTA GROSSMAN is an award-winning filmmaker, who has written, directed, and produced more than 40 hours of film and television. Grossman’s 2012 HAVA NAGILA (THE MOVIE) uses the song “Hava Nagila” as a portal into 150 years of Jewish history, culture and spirituality. HANNAH SENESH: BLESSED IS THE MATCH, Grossman’s 2008 film, was shortlisted for an Academy Award, aired on PBS, and nominated for a Primetime Emmy. In 2014, Grossman completed ABOVE AND BEYOND with producer Nancy Spielberg, about the American-Jewish WWII pilots who volunteered to fight in Israel’s War of Independence. Most recently, Grossman teamed with Sophie Sartain to co-direct the Netflix documentary SEEING ALLRED, which premiered to great acclaim at the 2018 Sundance Film Festival. She also produced DOROTHEA LANGE: GRAB A HUNK OF LIGHTNING, 500 NATIONS, and HOMELAND: FOUR PORTRAITS OF NATIVE ACTION. The WJFF’s Annual Visionary Award recognizes creativity and insight in presenting the full diversity of the Jewish experience through moving image. The 2018 honoree is Roberta Grossman, who will join us for a special extended Q&A and Award ceremony. The award will be presented alongside a sneak peek showing of 30 minutes of clip excerpts from her forthcoming film, WHO WILL WRITE OUR HISTORY. In this achingly funny and bittersweet tragicomedy, Ariel’s life is thrown into disarray when he learns he has been a father for nearly two decades. Nominated for 13 Israeli Academy Awards including Best Film. A tale of star-crossed lovers and supernatural possession that is considered one of the most influential Jewish films of all time. Narrated by Academy Award-winner Joan Allen, this stirring documentary follows the journey of Hungarian poet, paratrooper, and resistance fighter Hannah Senesh. A masterpiece of 1950s Bombay cinema featuring an evocative performance by Nadira (Farhat Ezekiel), where she plays the vamp-chasing men, drinking, and gambling, in a case of life imitating art. When an 8-year-old Jewish boy living in Nazi-occupied France is sent by his parents to live in the countryside, he is faced with a culture clash both religious and generational. It’s the eve of Yom Kippur. The streets lie in sacred silence, but David, a religious Jewish boy, is in turmoil. On the holiest night of the year, he sets out on a journey to restore his waning faith in God. Netta wishes to immigrate to Berlin. Her father, the son of Holocaust survivors, is horrified by her decision to live in the land that killed her ancestors. He refuses to speak to her again if she leaves. This short film study revists the halachic idea of eruv as an opportunity to re-vision urban space through the practice of urban place-making. A young man becomes possessed by his dead grandfather, forcing him to choose between his Arab family identity and continuing on with his life as an Israeli. It’s 1973 and all that 15 year-old Sherry wants is a boyfriend. A letter exchange with an unknown soldier sends her heart aflutter, but what happens when the imaginary becomes real? LON is an ode to the power of imagination and how people maintain their dignity in the most challenging of times. After being taken from her home in Budapest during World War II as a young girl, Vera Reiner survives alongside thousands of other Jewish women. This is their incredible story. After a long journey, many years in the future, our cosmonauts reach their destination. Ananda, the space archaeologist, hopes to prove that the Earth is real, and Yamaka, the outcast rabbi, is searching for something subtler. It’s bitterly cold in the inner city neighborhoods, and yet people have come together. They have come to witness an event. To participate in a spectacle. To see and be seen. Fernanda Faya reflects on her grandmother’s migration from Romania, after moving herself from Brazil to New York, in this personal and evocative cine-poem. In the near future, when human actors have been replaced by CGI, an aging actor gets one last chance to deliver a monologue from Andrei Tarkovsky’s THE STALKER. Ilana considers herself a liberal woman, but when her eye therapist is replaced by an Arab doctor, her prejudices comes to light. In Tel Aviv’s Greek community of the 1950s, Rebecca’s decision to divorce her abusive husband forces her to pay the ultimate price for freedom. At a post-concert reception, a young jazz musician tries to survive aggressive grannies and other terrifying creatures. Leah works as a maid in the hotel during the day, while Meital, her daughter, sings in the hotel’s lobby at night. They live trapped in their relationship, surrounded by the Dead Sea. An inspiring journey behind one woman’s ambitious project to create the entire Torah, in needlepoint. Two teenage girls in Hasidic sleepaway camp explore a forbidden book which leads them to a sexual awakening neither of them are prepared to encounter. In the days following Pearl Harbor, a young man must decide whether to serve overseas or stay in New York with his streetwise male lover. Three young Israeli soldiers and the Arab prisoner in their custody are forced to confront their prejudices when their transport vehicle breaks down in the Negev Desert. To the Orthodox Jewish women at Woodmere Fitness Club, life is more than child rearing and keeping kosher - it’s about proving themselves through weight lifting. A joyful group of senior citizens capture the spirit of Shabbat in their own unique way, gathering at a fast food restaurant to light candles and say prayers over hamburgers and fries. Inspired by a true story, WOMAN WITH AN EDITING BENCH pays homage to Elizaveta Svilova - the unsung editor behind Dziga Vertov’s 1929 documentary masterpiece MAN WITH A MOVIE CAMERA. Festival passes are currently on sale online. Individual ticket sales open online on Friday, March 23, and continue through the festival. Patrons are encouraged to purchase tickets in advance as many shows sell out. Individual tickets for regular screenings are $13.50 online, $15 at the theater. Individual tickets for spotlight evenings are $20 online, $25 at the theater. Individual tickets for Opening and Closing Night events are $30 online, $35 at the theater. In addition to individual tickets, WJFF offers Festival passes for $175 and All-Access VIP Passes for $275. Festival passes for patrons 30 years of age or younger are available for $40. More information is available at www.wjff.org. 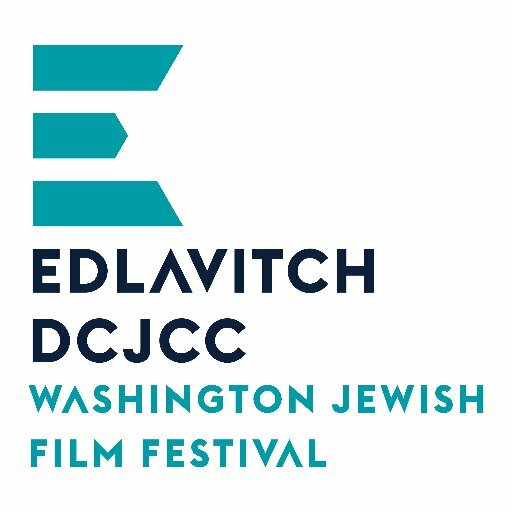 The Washington Jewish Film Festival (WJFF) is the centerpiece of the Edlavitch DCJCC’s comprehensive year-round film program. One of the largest and most respected Jewish film festivals in North America, WJFF is an international exhibition of cinema that celebrates the diversity of Jewish history, culture and experience through the moving image. In addition to the annual festival, the WJFF presents an ongoing, year-round film series at the Edlavitch DCJCC. The WJFF serves over 18,000 people annually through 100+ screenings, nearly all of which are World, U.S., or regional premieres. 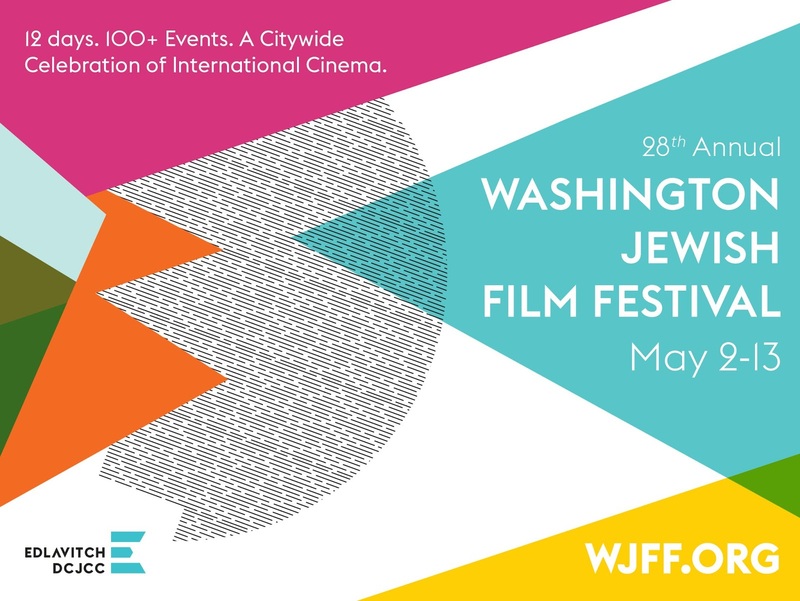 Follow the Washington Jewish Film Festival on Twitter (@wjff) for updates with the latest information about the festival and filmmakers who will participate in the WJFF. Join the conversation using #wjff on social media. The Edlavitch DCJCC - the vibrant home and cultural heart of Jewish Washington - works to preserve and strengthen Jewish identity, tradition and values through a wide variety of social, cultural, recreational and educational programs and services. The EDCJCC is a partner agency of the Jewish Federation of Greater Washington. The EDCJCC embraces inclusion in all its programs and activities. We welcome and encourage the participation of all people, regardless of their background, sexual orientation, abilities, or religion, including interfaith couples and families. The Edlavitch DCJCC is located at 1529 16th Street, NW in Washington, DC, four blocks east of Dupont Circle.